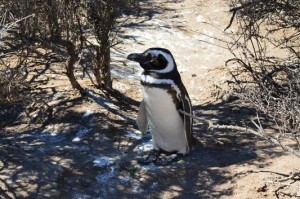 After I visited El Calafate town and Perito Moreno glacier, I went to spend some time in El Chalten. 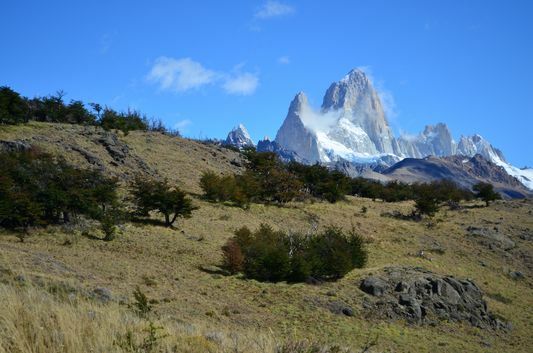 El Chalten is a town in the West of Santa Cruz province in Argentine Patagonia. 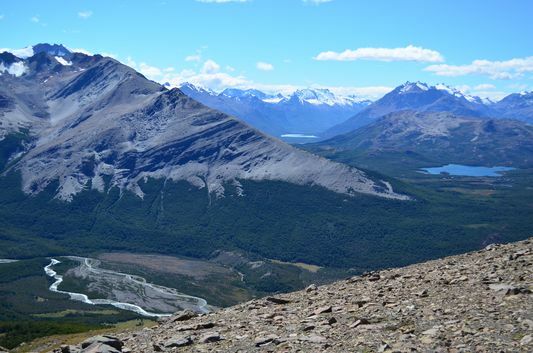 Its location in the South of the Ands mountains right in the National Park of the Glaciers makes it the so called ”capital of trekking” in Patagonia. 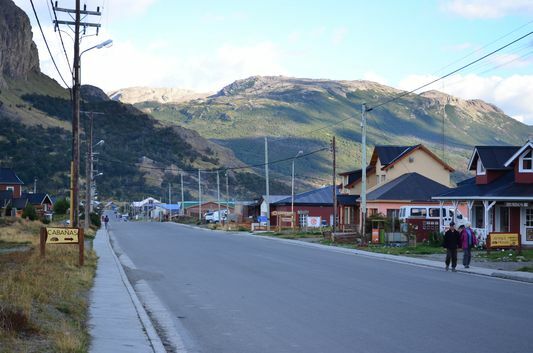 The town El Chalten lies at the bottom of Fitz Roy mountain that is sometimes denominated as Chalten mountain. 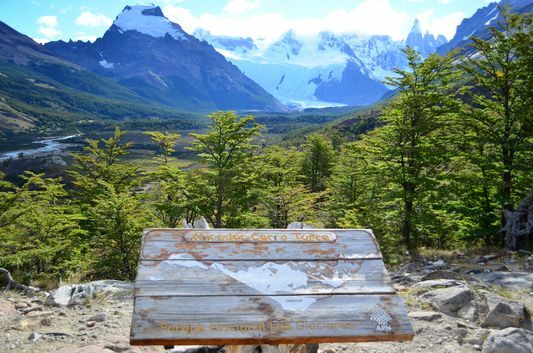 It means the smoking mountain/volcano as the first inhabitants here thought it was a volcano but actually it is the clouds almost always above Fitz Roy mountain. 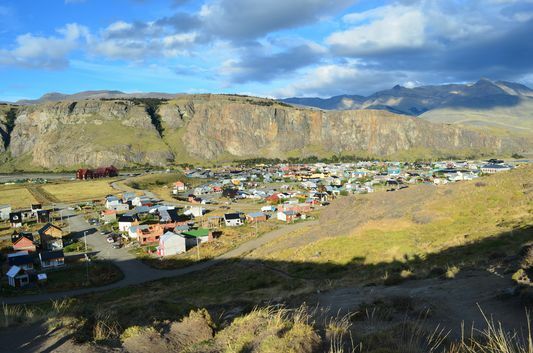 It is said that El Chalten is one of the youngest towns in Argentina, if not the youngest, founded in 1985 (a year younger than me, ouch!) and we can definitely see it once here. There are many new hostels and restaurants being built right now. 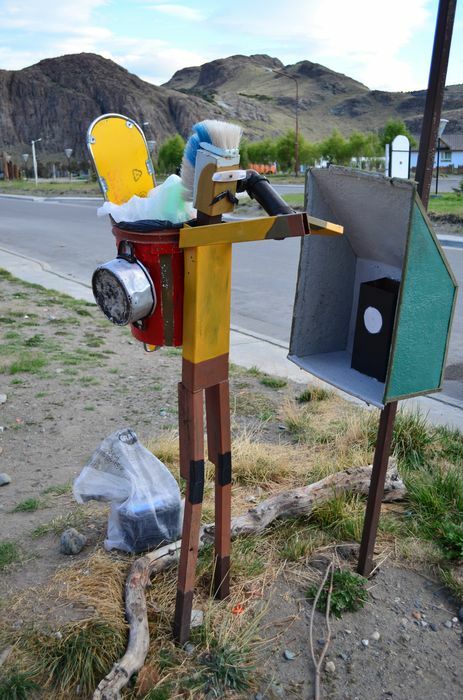 It is a very small town with San Martin main street where you can find almost anything. There is a tourist information at the bus station (apart from the one at the entrance to the town) but they are there only when they want to, e.i. not always. The same thing is with Taqsa (e.g. 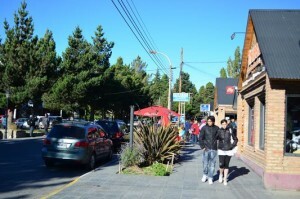 direct buses to Esquel, El Bolson and Bariloche). The guy working there comes to the office not when he is supposed to, but when he feels like. He told me he had also his own life. So don’t expect him to be there at 9 am when it should open, he won’t until after 10 am for sure. 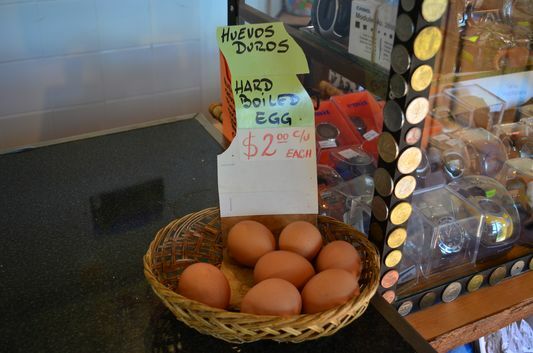 They sell boiled eggs ready for eating or taking them for trekking in one of the shops. There is just 1 ATM in the town, at the bus station, and not always it gives you money, so you have to take money with you when you come to El Chalten, just in case. Do not rely on this ATM please. There is no money exchange in the town. There is no mobile signal in the town. I heard it is not because it would be impossible, but because people living here just do not want it. Very weird for a famous town in the 21st century. 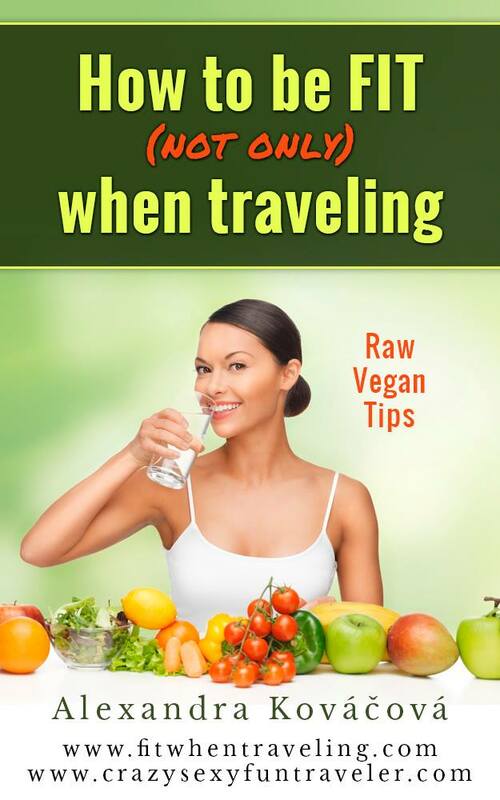 I mean, many tourists do not use phones while traveling, but still, it would be much easier and if you just do not want to use a phone, don’t use it but don’t force others to do so just because that’s what you want, right? Internet connection is usually slow as there is satellite internet used all around the town so don’t expect high speed internet. 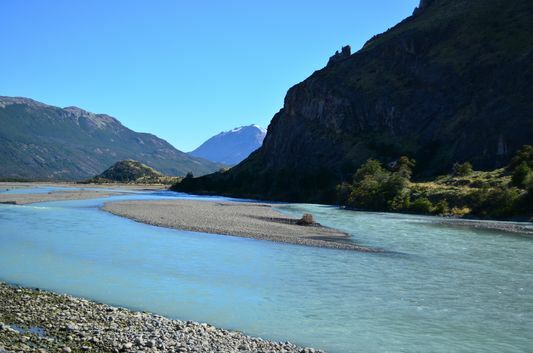 El Chalten is a bit of a hippie town, everything here is very colourful, peaceful and quiet. And very picturesque. 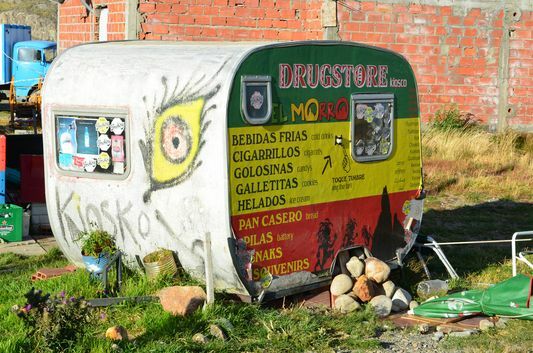 The town is full of big ”containers” and caravans used as houses/accommodation for tourists. Some shops close for siesta time at lunch (12 pm to 3 pm). 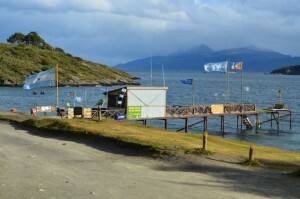 Everything is very expensive, most of the things even more than in other towns in Patagonia. 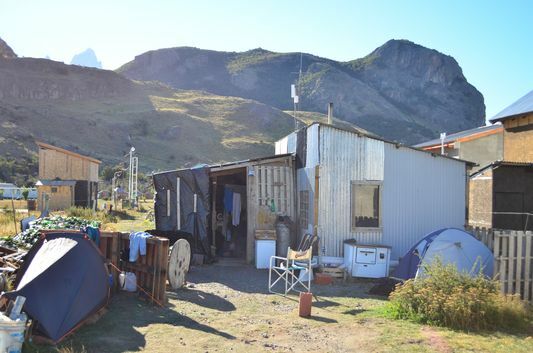 Probably because there is almost no competition, or because El Chalten is just in the middle of nowhere, or because you don’t have a choice and you will pay for it anyway. I just paid more than 5 Euro for a small pack of granola. 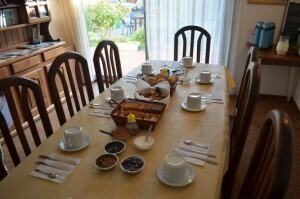 The best place to stay over is Rancho Grande hostel – with a very friendly staff, good food, cool music and clean rooms. 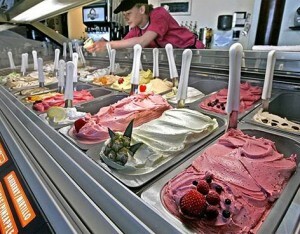 There is a very good ice cream place Domo Blanco – a blue building with white around the windows on Av. San Martin. 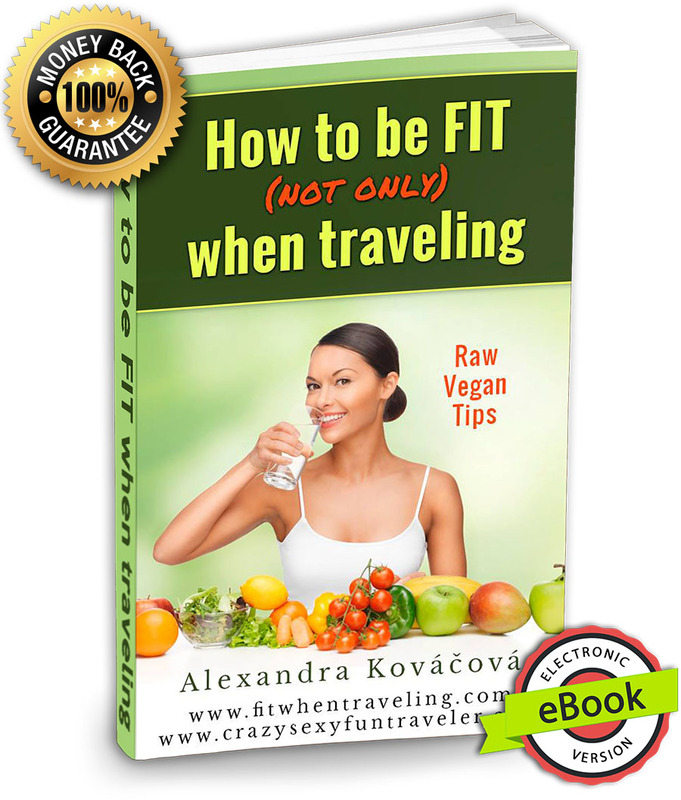 It is a bit expensive (high European prices) but definitely worth it. 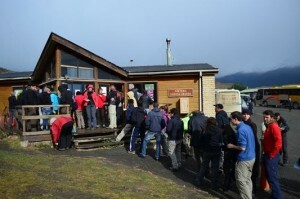 It’s always warm inside which is probably the trick to get more customers in as sometimes with the cold outside in El Chalten you would not dream of getting cold ice cream. 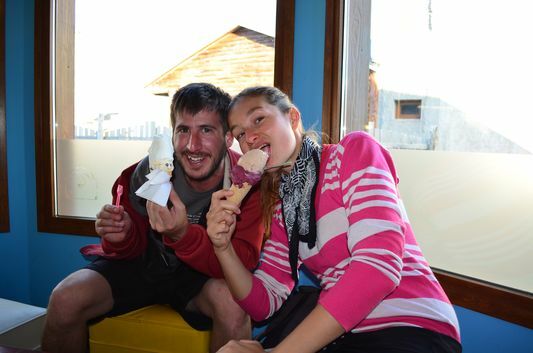 They have Calafate flavour ice cream – the fruit called calafatein Spanish and there is a saying that if you eat it, you will come back to Patagonia (in El Calafate the saying is that if you eat it, you will come back to El Calafate town, not Patagonia in general. 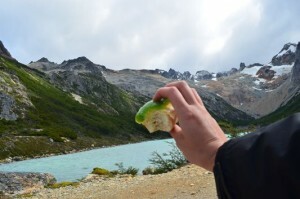 The same with the fruit el calafate, not just the ice cream of calafate flavour). You can drink water from the rivers/waterfalls/tap water in here. It is safe so it can save you some bucks. The tallest buildings are 2-floor buildings. All over the town, there are quirky dust bins made from old things (bottles, used shoes, old glasses, pieces of clothes etc.) that look like trekkers. They were made by the guy called Jesuswho lives in the town and everyone knows him. His real name is actually Sergio but since he played a role of Jesus in the religious fiesta in the town carrying the cross, the name Jesus just describes him better. And he does look like one. But most of all, he is like Jesus. 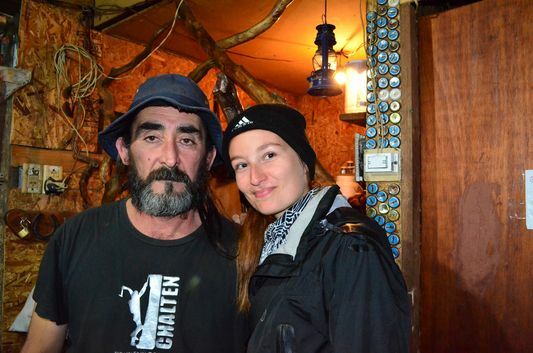 He lives in a small house he built himself at the street Los Charitos 124 and in his garden he just welcomes all the travelers who can do camping there, sleep there, use his bathroom and kitchen. He and his friends always cook so you are invited for a dinner there. And Jesus is a genius, he can repair anything, make anything and give you anything. He is a very simple man having a simple life who does not owe much, but he has a big heart and would give you even what he doesn’t have. I have never seen anyone like him. Now, he is 48 years old and that is the way he lives his blessed life. Go to visit him if you get a chance. If you visit Jesus, ask also for his friend called Marino, he lives there, too. And he makes very nice metal jewelry you could buy. 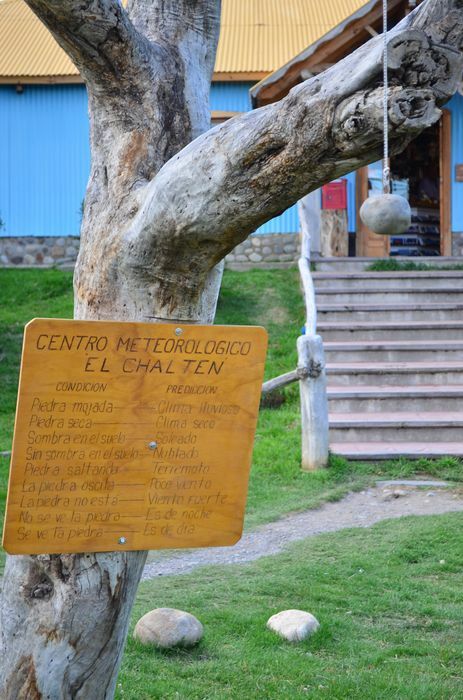 At Avenida del Lago del Desierto, there is a very funny meteorological stone– the way to find out about the weather in El Chalten. There are different kinds of weather described, such as: if the stone is not there – strong wind, if the stone is not visible – it’s at night, if the stone doesn’t move – no wind, if there is stone shadow on the ground – it is sunny, if the stone is wet – wet climate, if the stone is dry – dry climate etc. Such a great idea! I had a good laugh each time I saw the stone. And it so describes the whole El Chalten idea. 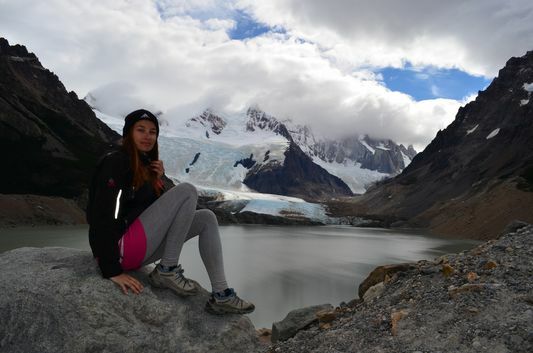 Laguna de los Tres – probably the most difficult, the most famous and the closest to Fitz Roy. 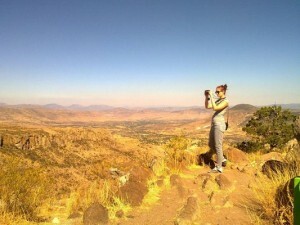 I was too tired and had too many articles to write so I didn’t do this trekking, but did other 4 out of the list below. 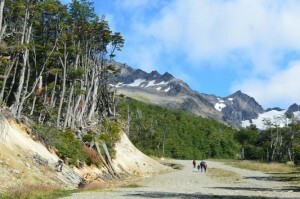 Sendero de la Laguna Torre – one of the easiest ones. 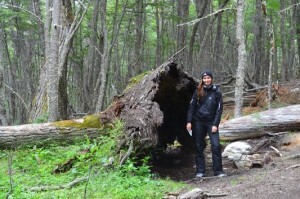 Maximum 2,5 h easy trekking from El Chalten. 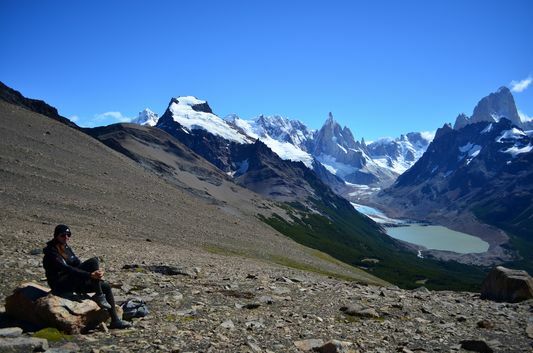 You get to Lake Torre where you can see Glacier Grande, Cerro Torre, Cerro Solo and Fitz Roy. 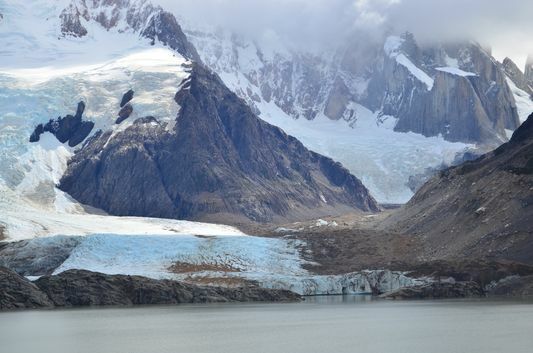 La Loma del Pliegue Tumbado – with a perfect view of all the main mountains around, Glacier Grande and Laguna Torre. The way up is just steep up hill all the way to La Loma, but on the way down is very easy then. 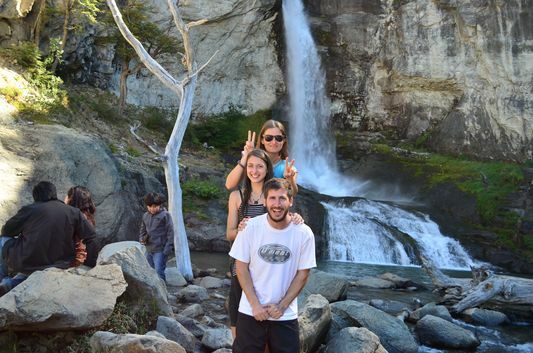 Chorrillo del Salto – a cute tall waterfall just and hour walking from the town. You can get here also by car and then just walk 5 more minutes from the parking lot. thanks Larry! really love that place! Great post and photos (of course)!